Acer has upgraded its high-luxury Swift 7 in several key ways, but has been forced to detract from the experience in similarly key ways to get there. Will these arguably brave decisions result in a better, stronger laptop in the end? Only a full review will tell. 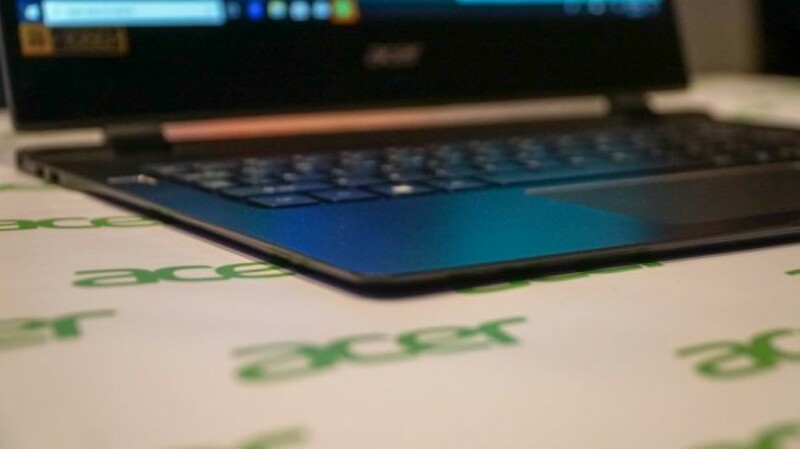 Acer has held the title of the ‘world’s thinnest laptop’ for a few years now, and it continues this trend into 2018 with the new Acer Swift 7. 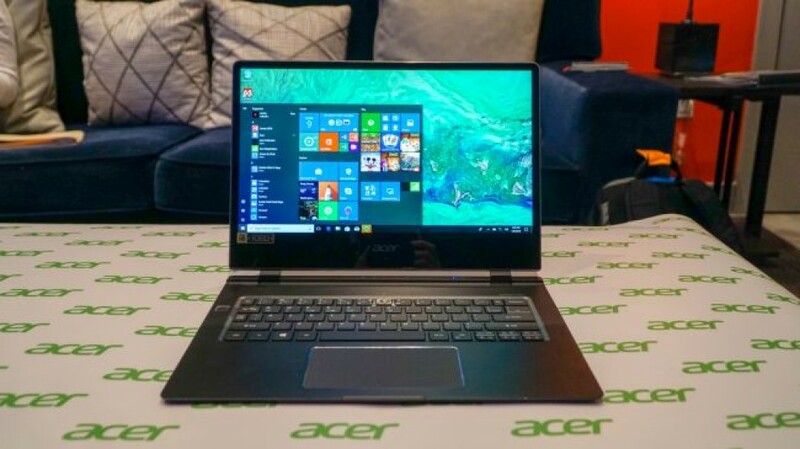 This time around, however, Acer has beefed up the display to 14 inches without increasing the device’s overall footprint, and introduced a fingerprint sensor for added security. 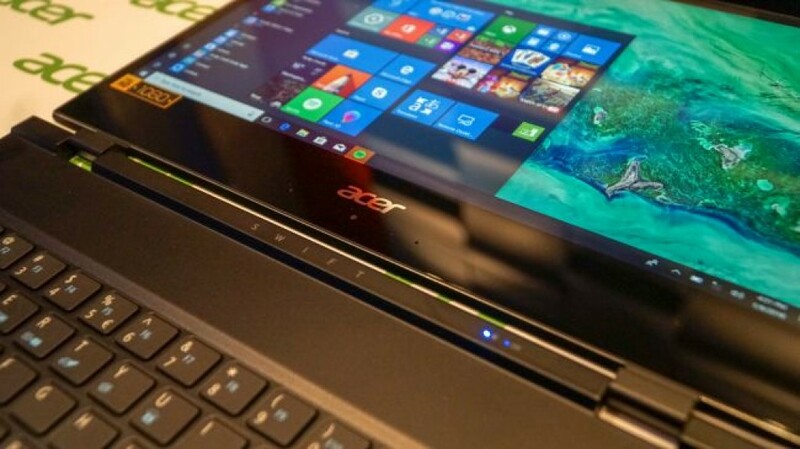 In order to keep its ‘thin laptop’ title, however, Acer had to remove the clicking functionality from the touchpad. Now, this is a change that we can live with, but it’s sure to be controversial with some users. All of these tweaks come with a notable price jump for the Swift 7 in a time when value is of the utmost concern even with the best Ultrabooks. Will it be worth it? 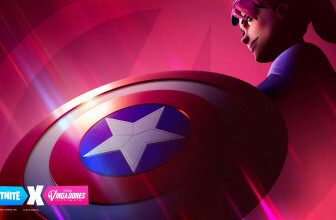 We’ll have to wait until our full review – until then, though, enjoy a sneak peek of what’s in store. The Acer Swift 7 launched earlier this year in the US for $1,699 (£1,599, about AU$2,159) to start, which is certainly nothing to sneeze at for even an hyper-premium Ultrabook. What that steep price nets you is a 7th-generation Intel Core i7 processor backed by 8GB of DDR3 memory and a 256GB solid-state drive (SSD). All of these guts sit underneath a newly-widened, 14-inch Full HD (1,920 x 1,080) display that can bend back 180 degrees and a fingerprint reader on the keyboard rest for secure Windows Hello login. That’s kind of a high asking price for a laptop that, while within some luxurious casing, houses last-generation hardware. With that, the Swift 7 rides even harder on the feeling and experience it delivers than before. However, that’s not to say you can’t find a deal. For instance, right now you can pick it up on Acer’s website for just $899 (about £678, AU$1,203) in the US. Luckily, the Swift 7 is a sublime laptop to pick up and hold, measuring just 0.35 inches (8.98mm) thin and feeling lighter than even perhaps the latest Apple MacBook, though Acer hasn’t revealed that exact figure yet. This laptop is also quite the looker, encased in an all-black, unibody aluminum shell with two sturdy hinges holding the display in place. And, what a display it is. 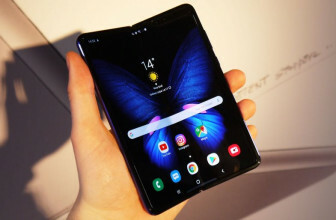 Now 14 inches on the diagonal thanks to far more narrow bezels, the IPS screen makes colors absolutely pop and offers up wide viewing angles for sharing content. 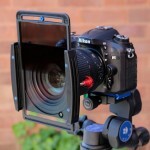 That latter feature could come in handy when pushing the display down 180 degrees. However, we’re no less miffed by the webcam placement on the Acer Swift 7 than we’ve been with that of the Dell XPS 13: centered but beneath the display rather than above it. We’ve seen Ultrabooks achieve similarly thin bezels with normally positioned webcams, so there’s really little excuse here. Despite the laptop’s incredible thinness, we find the typing experience on the backlit keyboard to remain uncompromised, being both deep in travel and forceful in its feedback. 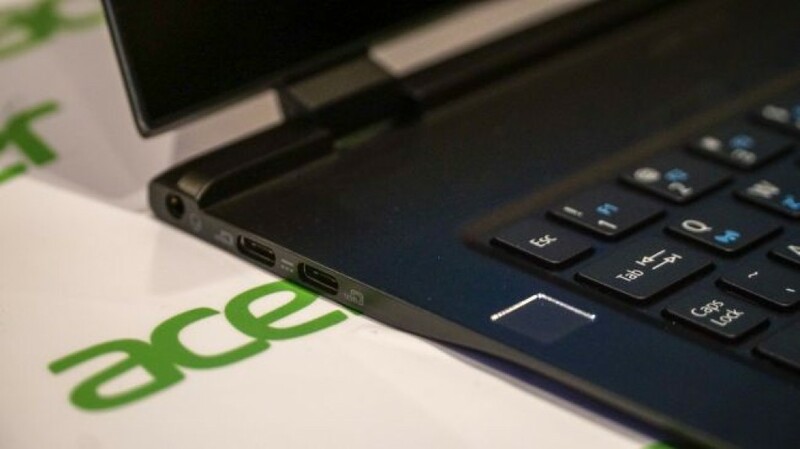 But, again, Acer was forced to remove a core feature to achieve those dimensions: the touchpad doesn’t click. Yes, you read that right: the touchpad can only be tapped to trigger an interaction, with right-click functionality triggering when tapped with two fingers. Granted, we prefer tap-to-click on laptops to clicking, but removing the option is sure to be a divisive move. That said, we find navigating with the touchpad to otherwise be a fine experience. As goes with almost all hands-on reviews, we can’t speak with 100% confidence to the power profile of the Swift 7 until we’ve put it through the gauntlet of benchmarks. However, we’re anticipating a slightly lower ceiling due to the laptop’s fanless design – that points to a Y-series Intel processor inside. That shouldn’t affect the general laptop user much, but don’t expect to see this laptop handle graphics or data rendering tasks without issue. Acer’s promising up to 10 hours of battery life from the Swift 7, which in a full review will likely translate to a result a few hours under that, as they have in nearly every laptop review you’ll see online – from Acer or otherwise. 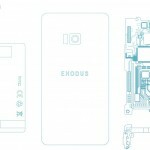 However, one major feature we’re keen to test further is the inclusion of 4G LTE connectivity through an Intel XMM modem that supports both Nano SIM and eSIM technology and comes out of the box with a free, 1GB Transatel profile to give users a taste. 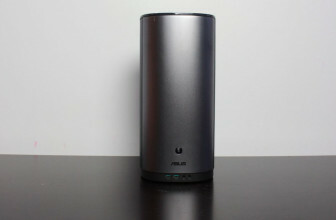 Of course, 802.11ac Wi-Fi with a 2×2 MIMO radio and Bluetooth round out wireless connectivity. As for hardwired connections, don’t expect a veritable bevy of ports from a laptop this thin and light. Just two USB 3.1 ports and an audio jack dot the sides of this laptop. Hey, at least that’s one more than the MacBook can speak for. Acer has upgraded its high-luxury Swift 7 in several key ways, but has been forced to detract from the experience in similarly key ways to get there. The display is larger and more attractive than ever, but to keep the same dimensions as before Acer has moved the webcam beneath the display. 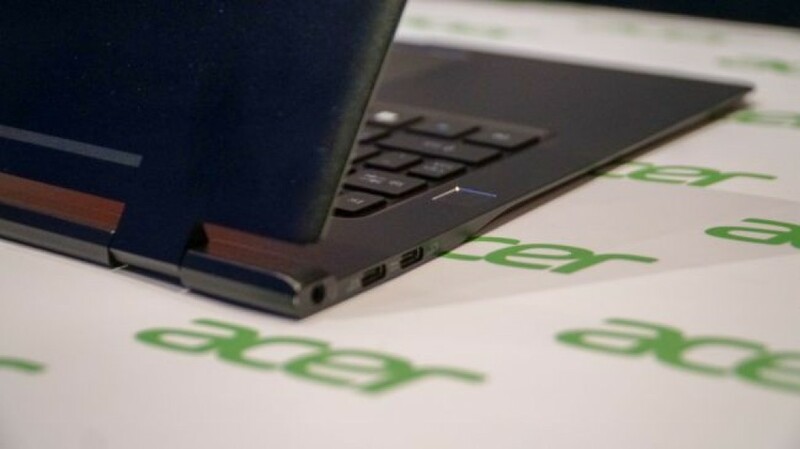 Plus, to keep ahead in the thinness race, Acer dropped clicking functionality from the touchpad. While we personally don’t mind this change, it’s sure to raise more than a few eyebrows. All of this comes in a far more expensive package than what you can buy off the shelf right now with the same processor inside – at least in the US. Will these arguably brave decisions result in a better, stronger laptop in the end? Only a full review will tell, so stay tuned.